We recently had the pleasure of working with CTC West for an amazing creative style shoot at the luxurious Four Seasons located in downtown Toronto for Lavish Dulhan magazine. Please look out for the amazing collaborative piece in the next issue. The reason why we wanted to blog about CTC West is because they are running a sample sale at their Woodbridge location, which is just minutes north of Toronto. 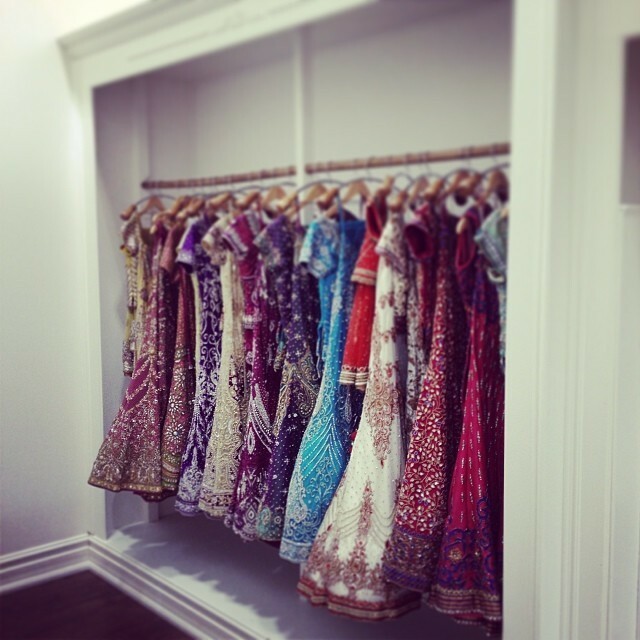 If you are in the market for an lavish Indian wedding gown, or opulent South Asian bridal gown for your Toronto wedding – their boutique is definitely worth checking out. They provide high end Indian wedding outfits and will provide you with an exquisite dream outfit to make your wedding unique and an unforgettable experience. You will also find a range of fashionable outfits along with traditional Indian bridal wear suited for different occasions like a Mehndi or Sangeet. Their extensive collection of Indian wedding outfits would be fabulous for the wedding ceremony as well, featuring elegant traditional sarees, lenghas, fusion wear and stylish sherwanis. During the month of December, they will be open Tuesday – Sunday and closed on Mondays. Please note, they will be closed December 24 – 25 and December 31 – January 01. Please let us know by posting below, how your experience was at CTC West. Wendy is a Toronto wedding planner who’s specialty is East marries West weddings. She is currently on assignment exploring destination wedding opportunities in Bali, Indonesia. Whether you need full wedding planning assistance or wedding day coordination, Wendy can help you design your most memorable wedding day. Contact her today, she’d love to hear from you.